Located in the cool heart of the Anderson Valley, along California’s windswept Mendocino Coast, Split Rail has a varied topography of undulating slopes and benchlands. With 16 distinct blocks of Pinot Noir and nine different clones, it is also one of our most diverse vineyards. This diversity contributes to a complex and nuanced expression of Anderson Valley Pinot Noir that balances focused red fruit elements with impeccable structure and depth. This rich and opulent wine begins with enticing aromas of ripe strawberry, plump blueberry, baking spices and sweet pine needles. 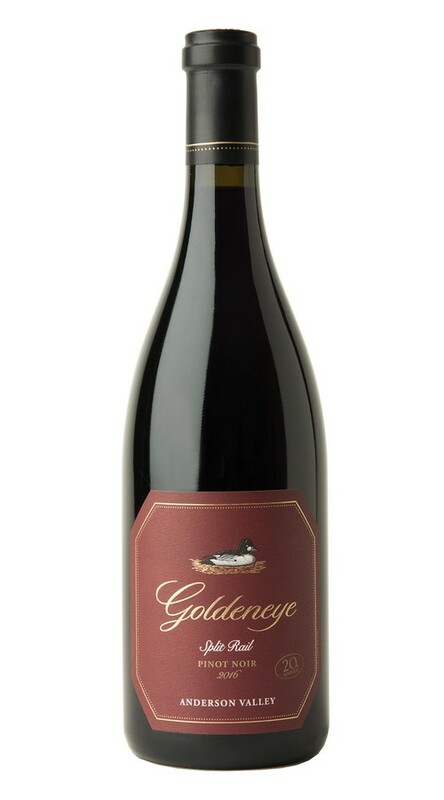 On the palate, the juicy berry flavors are buoyed by firm tannins and lively acidity, with hints of clove and cinnamon adding complexity to a long, lush finish.